Reddy Charlton has announced the promotion of Laura Graham to partner in the firm’s employment and regulatory department. 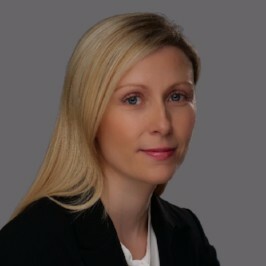 Ms Graham joined the firm in 2007 and qualified as a solicitor in 2010. She is a member of the Employment Law Association of Ireland (ELAI), the Dublin Solicitors Bar Association (DSBA) employment law committee and is a Registered Trade Mark Attorney. Commenting on the announcement, managing partner Paul Keane said: “More and more activities are subject to regulation and related disciplinary procedures and every year the relationship of employer and employee becomes more complex. Clients need efficient and experienced advisers to help them. “We are pleased that Laura will lead our service to our clients, with the support of Michael Hegarty, who joined us last year.